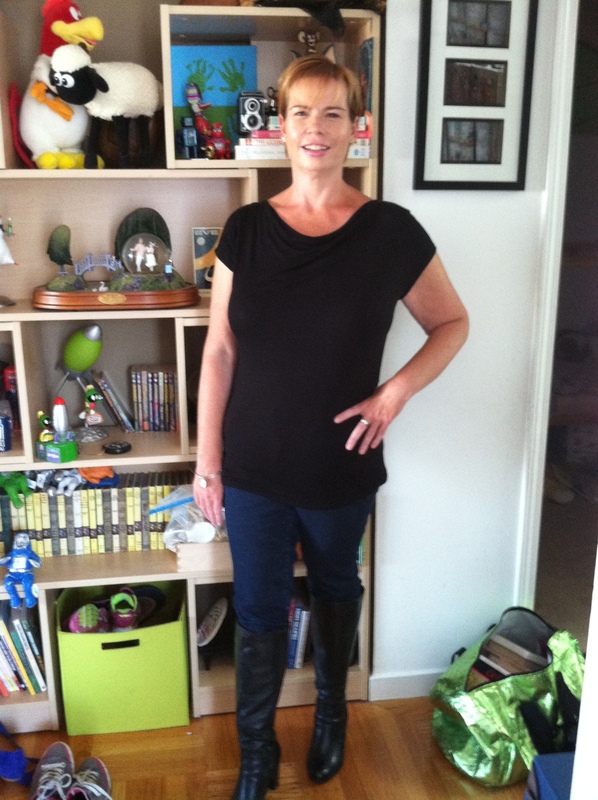 It has been over 14 months since I had my gastric sleeve surgery and I still feel great! One of the best things to come out of blogging about my gastric sleeve surgery is the connection I have made with people. Family, friends and even complete strangers continually reach out to me about my experience and to share their own. I am very excited for one particular friend who is having surgery next month. I planned to send her a note before her surgery, but I decided to share it as I hope it will help others who are contemplating surgery or thinking of making other important changes in their life. I can’t begin to tell you how excited I am for you! I know what a difficult decision you made when you chose gastric sleeve surgery. It isn’t just about losing weight; this journey is about taking control of your physical and mental health. This journey is about YOU! I won’t assume all your reasons to have surgery are the same as mine. But I will take a guess that you have been putting your own needs on the back burner. I felt for a long time that I needed to make everyone else in my life a priority, including people who didn’t deserve my efforts. I can honestly say that making myself “number one” in my life makes me a better mother, wife, friend and person. Now that I am in control of my life and that I am happy and less stressed, I am able to be the person I want to be for me and the people in my life. Surrounding myself with positive people makes the world of difference in my continued success. Of course, not everything is perfect after surgery. I am not seeking perfection any more. I continue to seek happiness and joy. Some days it is a harder struggle than others, but is a manageable struggle. I am not always in control, but I now have the tools to deal with depression, disappointment and anger. This leads me to another important piece of advice: use your resources! Your surgeon and his staff are experienced and want you to succeed. Follow their advice and don’t hesitate to ask them for help. While you might not like their advice, it is their experience and knowledge that will help you through the challenges you will face. If you haven’t met with a weight loss therapist yet, I highly recommend finding one. I go through phases when I seek her help more often than others. Having this resource will help you more than you realize. Let your family and friends help you, too! While many people do not share their surgery publicly, I really feel you should find at least a few people to confide in. You know who you can trust, so call upon them. I was fortunate to have an amazing community of family and friends who didn’t judge me and always offered support and encouragement. Find your community! I am your first supporter, of course! Will you be judged by family and friends for choosing surgery? Perhaps, but please don’t let it bother you. Sometimes, the people’s fears and concerns for your safety come across as judgement or disappointment. There will also be people who are jealous or threatened by your new confidence and success. Always remember that this journey is about you. Yes, it will benefit your family in the long-term, but it is OK to do what you need to do for you. Push aside everyone’s else opinions and concentrate on your own feelings, needs and beliefs. Always do what is best for you because in the end, that’s truly what matters. I look forward to being a part of your weight loss journey. I hope my blog gave you the ups and downs of gastric sleeve surgery. More importantly, I want it to have given you hope for a happy new chapter in your life. It won’t be easy this first year. You will cry. You will be angry. You feel disappointment. And that is normal and OK. The excitement, the improved physical and mental health, the sense of control and the feelings of freedom and positivity are well worth it. My friend, you are beautiful, smart and funny. The new “you” will be stronger version of who you already are today. Thank you for letting me be a part of this next phase in your life. Let’s go Down the Scale together! My babies and I waiting to explore the city. Walking helps to work off the fantastic cuisine of New Orléans! Welcome back to Down the Scale! I neglected my blogging duties for the past month, but my weight loss journey still continues! I must say this has been one of my favorite summers. 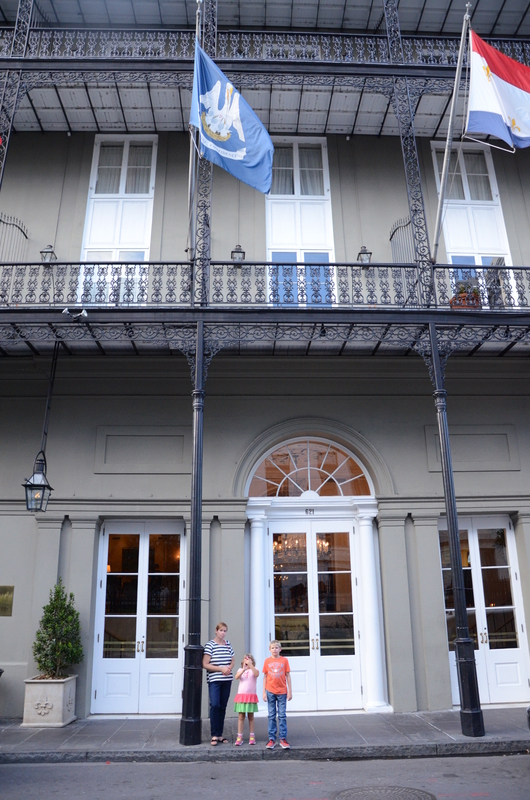 My family and I enjoyed fun activities around town and across the country. Swimming, sight-seeing, relaxing and eating were some of the great activities we indulged in this summer. Yes, I did say eating! I didn’t think enjoying food would be part of my life when I had gastric sleeve surgery over a year ago. I was wrong and a trip to New Orléans showed me how eating out can be a positive part of my life. After San Francisco, New Orléans is my favorite city. It is full of history, architecture, charm and amazing cuisine. Even though I don’t like shellfish, I love the other types of food New Orléans is known for like beignets, gumbo, jambalaya, pralines and of course a variety of alcoholic beverages. In my past visits, I never worried about what or how much food I consumed. This trip, I knew I couldn’t eat with wild abandon. First, my small stomach prohibits me from eating too much. Second, I didn’t want to gain too much weight. I say “too much” because I knew I would gain weight as I would be eating food higher in fat and sugar than I normally do now. And yes, I’m up a pound and a half since vacation, but I anticipated that and I’m back to eating normally. So I was excited to visit New Orléans, but I wondered if I would enjoy the food like I did in the past. My first test was breakfast. Cafe Beignet was close to our hotel and I went by myself to pick those hot, fluffy, doughy, sugary pillows of goodness called beignets. I stood in line behind other tourists (do locals eat them, I wonder? ), anticipating the first bite, but also wondering would I still enjoy them. With my small stomach, would I even be able to eat much of it? Would the sugar and fat make me feel sick? Simply put, the answer was no. I took my first bite of beignet and smiled. It tasted just as I remembered. No, it tasted better. Now that I eat healthier, which not only means better food, but eating slower, I truly enjoyed that beignet. I didn’t rush to eat it so I could get to the next one. I savored each bite of the beignet I ate. And yes, I only ate one of these delightful treats. I was full after eating one physically, but also mentally. I finally feel like I’ve learned that eating smaller amounts of food is just as satisfying as stuffing myself. My new body shape and the feeling of health I now have confirm that. Yes, my guilty pleasure! 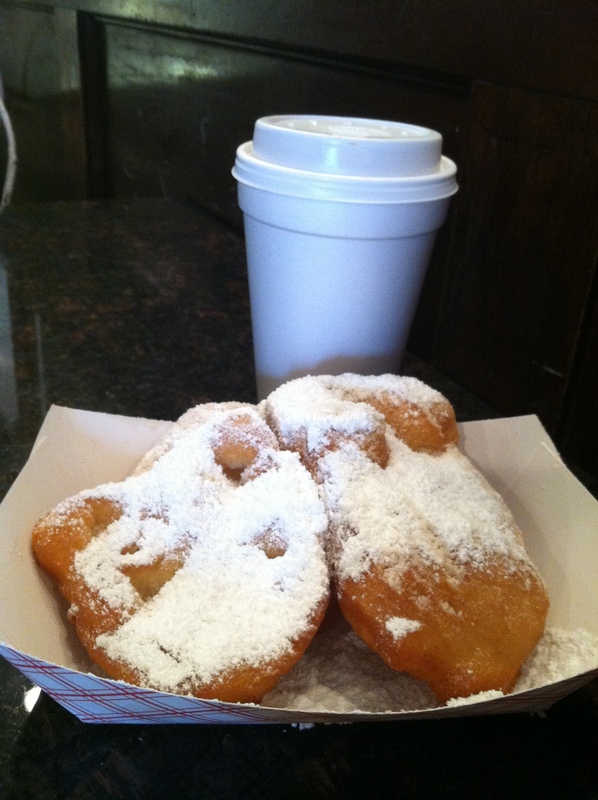 Cafe au lait and beignets! I am so happy I was able to enjoy a bit of these New Orléans treats! The rest of our vacation in New Orléans went this way. I enjoyed all my favorites, just in small amounts. Rice fills me up quickly, so I could only eat a bit of jambalaya, but it was worth it. I will admit to missing Muffulettas. The bread is just too much for me, so a bite of my husband’s sandwich was all I could enjoy. He was kind enough to share it with me and I was kind enough to share my food with him and the rest of my family. I generally share all my dishes when we go out to eat, and even at home. I just can’t eat all the food restaurants serve. Besides food, New Orléans is known for alcohol. I still drink since my surgery, but I am now a lightweight. One drink, maybe two is my limit. Yes, I’m a cheap date. I can’t eat and drink at the same time (liquids can push the food down too fast and it really doesn’t feel good either), so the New Orléans tradition of “to go cups.” was wonderful. I could order a drink and take it with me as we walked off our fantastic meals.